Despite Defense Minister Avigdor Liberman's promise to legalize the Havat Gilad outpost after Rabbi Raziel Shevach was murdered two weeks ago, the ministerial committee on legislation will not debate the issue at its weekly meeting on Sunday, enraging members of the Jewish Home party. On January 9, Arab terrorists gunned down Rabbi Raziel Shevach, a 32-year-old father of six from the community. Rabbi Shevach was murdered just a few hundred yards from his home in Havat Gilad, which was established in 2002 by veteran activist Moshe Zar, a year after his son, Gilad, was murdered on the same site in another terror attack. Since its establishment, the status of Havat Gilad has been disputed, labeled an “illegal outpost”, and subjected to multiple evacuations. 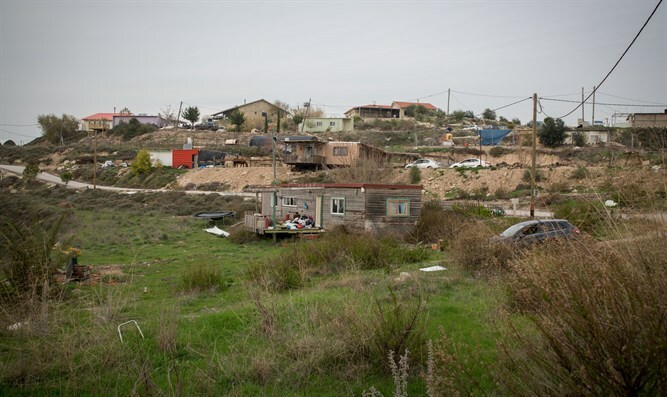 Following the murder, Defense Minister Avigdor Liberman (Yisrael Beytenu) ordered the ministry to investigate the possibility of normalizing the community’s status and establishing it as a recognized township within the Samaria Regional Council. However, despite multiple promises to the contrary, the issue seems no closer to being resolved. "Netanyahu is disappointing us again. If in the rare political window of opportunity that opens for the State of Israel, Netanyahu insists on dissolving the only Zionist response appropriate to the abominable murder of Rabbi Raziel Shevach, this raises serious questions about what Netanyahu really wants" said MK Bezalel Smotrich (Jewish Home). "I call on the prime minister to put the legalization of Havat Gilad on the government's agenda and to stop promises Judea and Samaria residents things without following through." Jewish Home Minister of Education Naftali Bennett called on Netanyahu to legalize Havat Gilad on Thursday morning after Attorney General Mandelblit said that there were no legal obstacles to the move. "I expect Prime Minister Netanyahu to bring up the normalization of Havat Gilad this Sunday," Bennett demanded. "The excuses are over." “Legally, it has been approved. Security-wise, it has been approved. Now we need a political decision," Bennett told Arutz Sheva.